An estimated 1,500 volunteers from The Church at Rocky Peak will assemble in locations throughout West Hills and nearby areas between 8:30 a.m. and 11:30 a.m. on Saturday morning, Nov. 5, to clear weeds, pick up trash, fix up local schools and improve the grounds of the West Hills Post Office. 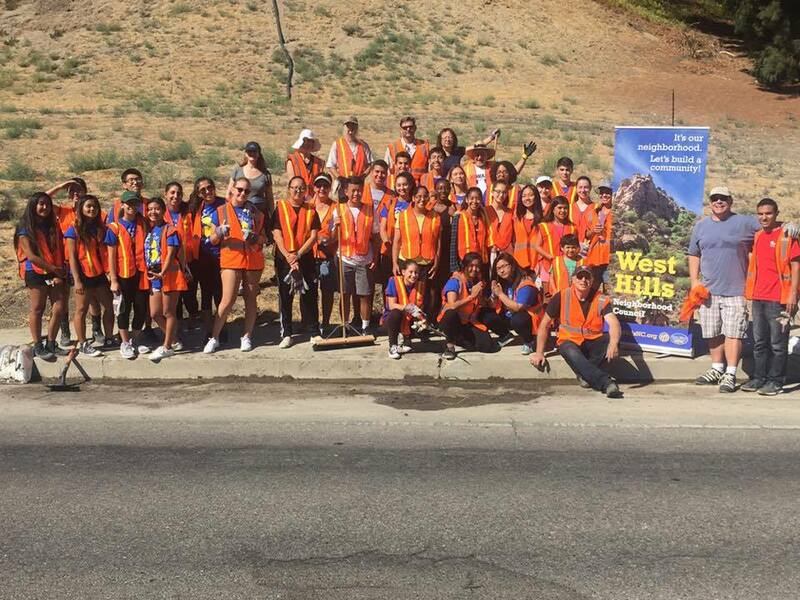 The West Hills portion of the church’s third annual All Serve Day is coordinated in cooperation with the West Hills Neighborhood Council’s Beautification Committee, with assistance from the Kiwanis Club, the Canoga Park-West Hills Chamber of Commerce and the City of Los Angeles Clean Streets L.A. initiative. West Hills Post Office, 23055 Sherman Way: landscaping with plants and trees donated by local merchants. Woodlake/Saticoy/Ingomar: weed clearance and sweeping of sidewalks and gutters (meet at Fields Market at the corner of Woodlake Avenue and Saticoy Street). Valley Circle Boulevard in the vicinity of Strathern Street: weed clearance and sweeping of sidewalks and gutters (meet at the corner of Woodlake Avenue and Strathern Street). • Roscoe Boulevard east of Valley Circle: weed clearance and sweeping of sidewalks and gutters (meet in front of Orcutt Ranch). • Nevada Avenue Elementary School, 22120 Chase St.: various projects on the campus. • Pomelo Community Charter School, 7622 March Ave.: various projects on the campus.